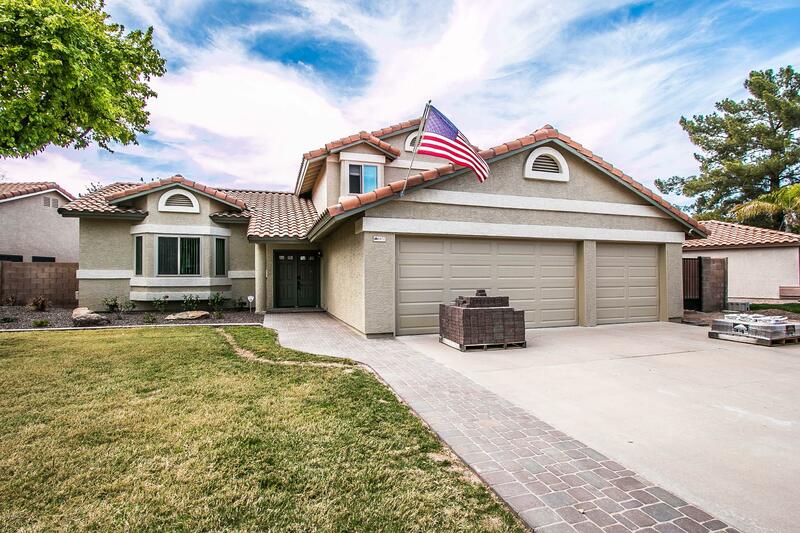 All PALISADES AT VAL VISTA LA homes currently listed for sale in Gilbert as of 04/23/2019 are shown below. You can change the search criteria at any time by pressing the 'Change Search' button below. "Beautiful home in highly sought-after Val Vista Lakes. This home features 4 bedrooms, 3 full baths, 2166 sq. ft. an oversized 8000 + sq. ft. lot and 3 car garage. Owners just finished perfecting the front and back yards with new pavers, fire pit w/ natural gas, synthetic grass in backyd. In addition, in the last 3 years there have been numerous improvements including replaced roof, installed windows, doors, furnace and insulation.Owners are in the process of upgrading countertops and sink in kit"